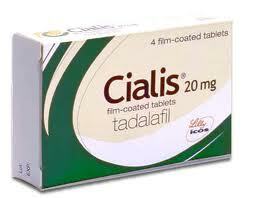 IL 147642 to ICOS Corp. is a patent application for a treatment of erectile dysfunction that is marketed under the trade-name Cialis®. The treatment is based on the pharmaceutical active ingredient Tadalafil, where the distinguishing feature of the claimed invention concerns the size distribution of the particles of active ingredient. A size distribution where 90% of particles are less than 40 micron diameter is claimed, with a preferred distribution being 90% of particles having a diameter between 10 micron and 25 micron. In a decision of 24 October 2012, Deputy Comissioner Noah Shalev Shmulevezh rejected the application despite opposer, Teva, dropping the opposition, since he ruled that it was obvious to try. He issued the ruling before the end of his term in office. The applicant, represented by Reinhold Cohn, filed a request for an oral hearing, the date of which was set for 1 May 2013. In preparation for the hearing, ICOS submitted a reasoned statement showing the difference between the claimed invention and the prior art. On reading the decision, Ms Shoshani Caspi, who took over the file, was persuaded that the claimed invention was not described in any of the citations and was therefore novel and fulfilled the requirements of Section 4 of the Israel Patent Law. Furthermore, although reducing the size of the active ingredient clearly increased the surface area thereof, aiding and facilitating dissolving and uptake of a fairly insoluble material, and increasing its effect, Ms Bracha considered that the priority date there were other techniques that might be considered, such as wetting the active ingredient. She ruled that decreasing the particle size was not the only candidate for a technique that would be tried first, suggesting that persons of the art might try co-precipitation, for example. Indeed, there were various known disadvantages with decreasing the particle size, that although would not rule out this approach a priori, would, nevertheless, make it a less favorable choice. Applicants argued that although β-carboline was made more instantly available by shrinking the particle size, persons of the art might not make the required analogy. Ms Shoshani Caspi found applicants arguments convincing and allowed the application to continue to publication rendering the hearing moot. In a recent attempted appeal to the Israel Supreme Court concerning Merck’s treatment Fosamax®, Judge Handel of the Israel Supreme Court upheld the District Court and former Commissioner of Patents, Dr Meir Noam’s ruling that the standard for rejecting a pharmaceutical invention as having inventive step or non-obviousness, is ‘obvious to try’. Ms Bracha is specifically ruling that obvious to try is not enough to render a pharmaceutical patent to be considered non-inventive, demanding a higher standard – that of ‘obvious to try first‘ or ‘obvious to succeed’. Since Handel rejected the request for an appeal, I am not sure that his ruling can be considered a binding precedent of the Israel Supreme Court. Nevertheless, it is clear that Ms Shoshani Caspi is adopting a more lenient standard than that required by Dr Noam. Time will tell if this indicates a change in policy by the Israel Patent Office. What seems most likely is that Unipharm will challenge the validity of this patent at least on the grounds of it being based on an invention that was obvious to try so at some stage, we will receive more clear guidance as to whether this is sufficient to render a claimed invention obvious. I understand that May Day as the choice of date for the hearing has nothing to do with the impotence of International Workers or with Maypoles being a clear example of a phallic symbol. 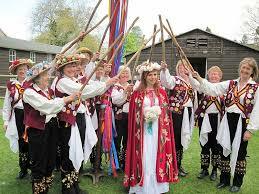 The rather English image of Morris Dancers around a Maypole has nothing to do with the rather English Israel Patent Attorney, Michael Morris, – a licensed practitioner that I trained some years ago. Indeed, I have no idea if he knows Morris Dancing.